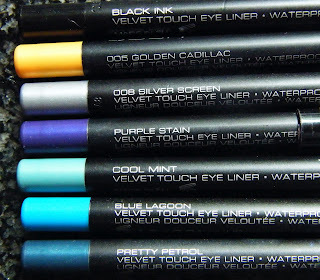 I have been an avid user of the GOSH Velvet Touch Eyeliners for years. 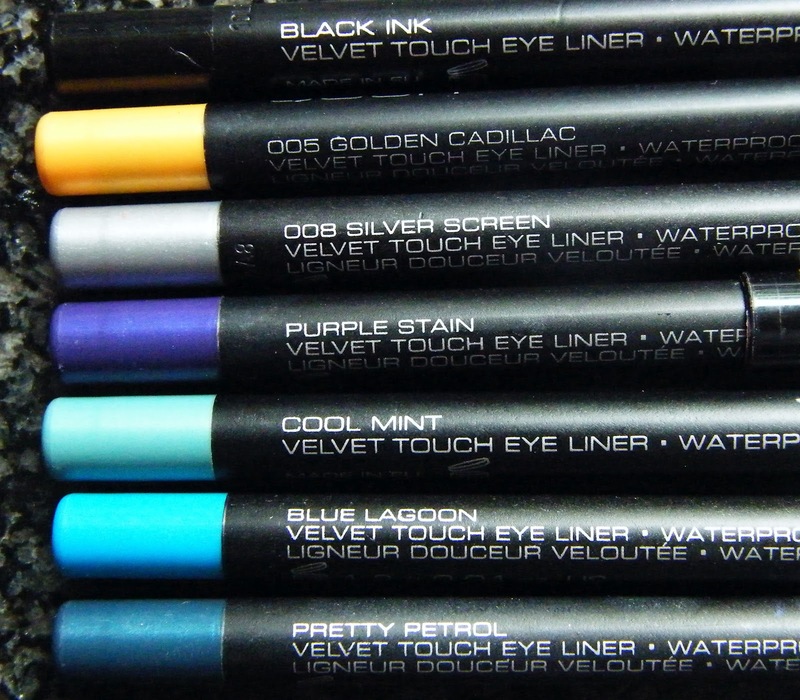 Without a doubt they are my favourite eyeliners. I purchased my first eyeliner around 4 years ago in a pharmacy down the road from where I live. A GOSH stand had just been set up in the pharmacy and I was curious about the brand. 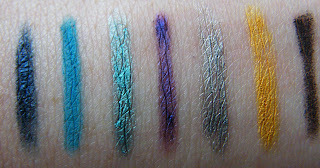 I was immediately drawn to the eyeliners, they came in a rainbow of colours. So I decided to purchase one. It cost roughly €7.99 which I thought was pricey at first. But when I began to use the eyeliner I soon changed my view on the price. The GOSH Velvet Touch Eyeliners have a soft and creamy texture to them. They glide effortlessly across the lid without pulling or dragging on them. Once applied the eyeliners can be easily spread out across the lid using a brush, or blended out with your fingers. You can easily create a smokey eye using this method. A smokey eye using "Black Ink" looks amazing. However I would say if you are doing this, to work fast as once these eyeliners set they will not budge. 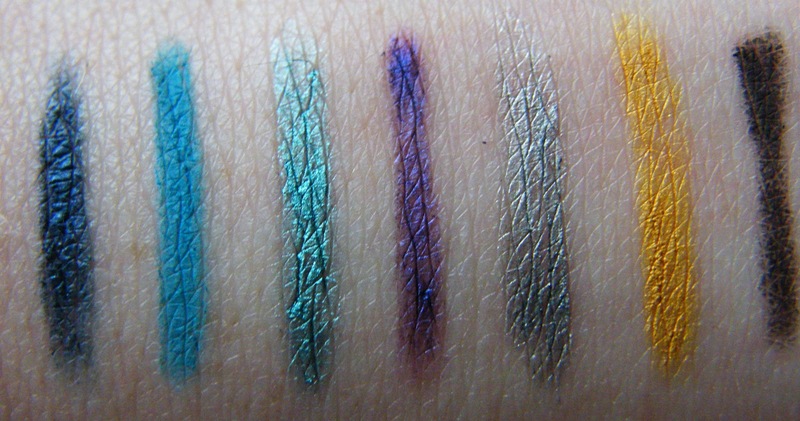 That is another great thing about these eyeliners, once they set they will last all day long. There is no need to re apply the eyeliner during the day. With other brands I have found that after a few hours the eyeliner has smudged down underneath my eyes, with the Velvet Touch Eyeliners this is not the case. To my knowledge these eyeliners come in 33 shades. All of the eyeliners I have bought are extremely pigmented. I don't doubt that the rest are too. I have also found that these eyeliners make an excellent eyeshadow base. For example I have used "Blue Lagoon" as a base and applied a blue eyeshadow on top. It made the blue more bright and vibrant. "pretty petrol" what a weird name! haha. I actually have it as well. I've got small eyes so usually steer clear of eyeliner on my lower lids but maybe some colour ones will work...great post! What do you get when you wed a note pad and a tablet? A touchscreen tablet!